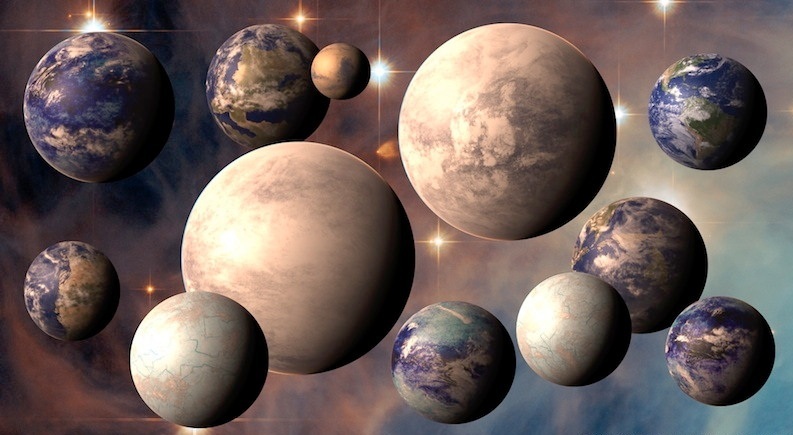 Gliese 581 the top candidate for alien life. It was discovered in 2010. It is about 20 light-years away from Earth’s sun, and two to three times as massive as Earth. 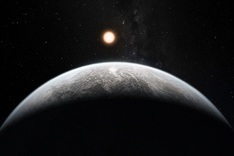 Gliese 667Cc close by Earth about 22 light-years away in the constellation Scorpius. 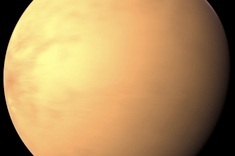 The planet is at least 4.5 times bigger than Earth, and takes 28 days to make an orbit around its parent star. 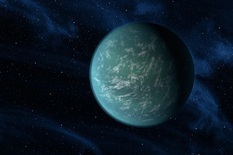 Kepler 22b is bigger than Earth, it circles a star that is quite close in size and temperature to Earth’s sun. 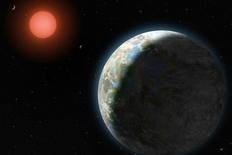 Kepler-22b is 2.4 times Earth’s size and, assuming its greenhouse effect is similar to Earth’s, has an estimated surface temperature of 22 degrees Celsius. Its star system is about 600 light-years away from Earth’s sun, in the constellation Cygnus. HD 40307g lies about 42 light-years away from Earth in the constellation Pictor. It is so close by that future telescopes may be able to peer at its surface. It orbits its parent star about 90 million kilometers away, which is just over half of the Earth-sun distance of 150 million kilometers. 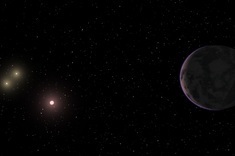 HD 85512b was discovered in 2011 as part of a treasure trove of 50 planets discovered by the High Accuracy Radial velocity Planet Searcher instrument HARPS. It is about 3.6 times more massive than Earth. It lives about 35 light-years away from Earth’s sun, in the constellation Vela (the Sail). Researchers are hoping to one day figure out if there is water on its surface. The planet is seven times the mass of Earth, which could make it a very large rocky planet or a dwarf gas giant. 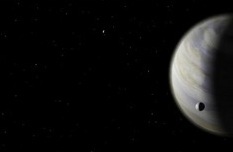 Gliese 163c whirls around its dim planet star every 26 days, at a distance of 50 light-years away from Earth. Its parent star is in the constellation Dorado. Gliese 581d is about seven times more massive than Earth, orbits a red dwarf star, and is a sister planet to the also-potentially-habitable Gliese 581g. 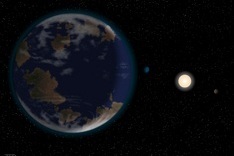 At just 20 light-years away from the sun, Gliese 581d is essentially in Earth’s backyard.